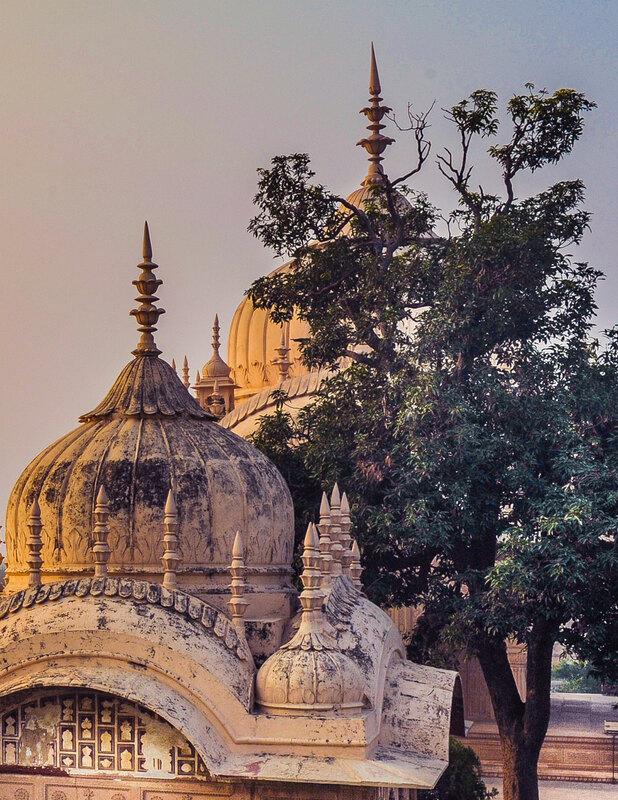 By the time I stepped on to the solitary railway bridge, leaving the old town of Mathura and its many lights behind me, I found myself in utter darkness. It was a long walk to the monastery at Durvasa Tila, on the other side of the Yamuna River, in India. The sun had long set, and I had left my journey far too late. Bands of armed robbers roamed these remote parts, and I wondered if it wasn’t wiser to return the way I had come. I raised my palm to my face: I could hardly make out the contours of my hand. As I slowly felt my way along the long railway bridge that spanned the river, my eyes gradually adjusted to the darkness. I could make out sinister shapes where the river flowed. The bridge gave way to a winding dirt track. Out here I was completely vulnerable. I could be shot with a pipe-gun, or bludgeoned, or hacked to pieces by a machete. I doubted anyone would hear my screams. A dog howled in the distance. My heart leapt. For a while, I was quite sure someone was following me in the darkness. I broke into a light jog, and ducked behind a bush. Remaining still, I listened intently, waiting for a silhouette or a noise. Time seemed to slow down. If I saw anyone, I decided, I would sprint for dear life. I was pretty sure I could outpace any human if they were wielding a machete. I couldn’t see more than a few steps in front of me, but then, neither could an assailant. That thought gave me some comfort. It was a long walk, and I made a deliberate effort to be less on edge. As I started to relax a little, I became aware of the vast and serene stillness of the night. I let it fill my lungs. A faint smell of jasmine seemed to cling to the night. I surrendered to the stillness, and had the strange sense something close and familiar, maybe some hidden part of me, might reveal itself. The feeling intensified, and with it came an unpleasant, sickly feeling—dread of the unknown. My reaction was instinctive: I began drowning the unfamiliar stillness with mental chatter. It had been a long, busy day, and my mind now began revisiting what had transpired, assessing and judging the minutiae. This manoeuvre was not lost on me. I could see the workings of my mind more clearly than usual, as an observer. Earlier, I had felt terror, then embarrassment. This incongruous overlay of emotions had given way to an unusual sense of detachment from the chatter of the mind. The simple act of watching the mind dispassionately had brought it to a place of calm. As I breathed in the stillness of the night, I was swept away by an overwhelming awareness of my own presence, my aliveness. It’s sometimes said that the mind is like a pond. For most of us, that pond is dark and impenetrable, its muddy bottom stirred continually by our agitated and restless thoughts. 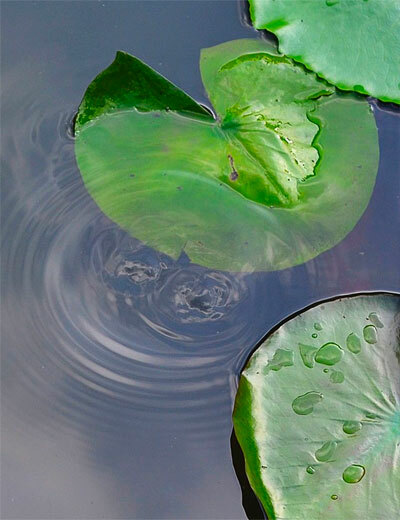 In our hectic, results-driven daily life, we don’t allow the waters of this pond to still. We don’t let them reveal their transparent depths. Since the field of perception is mostly clouded and disturbed, all that is visible to us is the movement on its surface: the continual play of form in the world. We can call this “surface perception”. There’s another kind of perception: “deep perception”. When we allow the lake of the mind to still, we can see right through the crystal water to its magnificent hidden depths. In a state of alert awareness, when the restless, overbearing mind is still, everything seems magnified in clarity and intensity. I felt an unusual lightness of being, a total immersion with the universe. As I looked about at the heavens filled with innumerable stars, I became aware of one familiar light shining brighter than all the rest. The light of consciousness is what illuminates all things. The centre of my consciousness, I noticed, was no longer located within my physical body, but had risen somewhere just above the crown of my head. The clarity of perception from this place was breathtaking. I felt completely free from suffering. Everything, including my body, was an inseparable field. To my wonderment, I saw that this field was the ever-flowing river of time. Everything was connected to everything else; and everything was in constant change. But as I looked about me at this inseparable field in flux, I realized that I, the soul, am changeless. The immense river of time flowed around me, and I knew I carried eternity inside. I longed to remain in this heightened state of awareness. What a joyful place! Could this be where the yogis throughout the ages went in their meditation? Could I remain here? Remembering the world I would be leaving behind, I suddenly felt afraid—I wasn’t ready. Immediately I was pulled back into my physical body, forcefully reabsorbed into the constraining and limiting storyline of my small human life. It felt like violence inflicted upon the soul. That immensely spacious and joyful place was lost to me. To describe the experience now, having re-entered my mortal story, is to do it injustice. It was one of those rare moments in which we look through the waters of perception into the heart of the universe. I understood now why the yogis and sages had described that luminous part of us that exists beyond the ego—the soul, if you will—in the way that they did in the sacred texts. I believe most people have these experiences at one time or other. By reading about them, we can grasp them conceptually, but we never truly understand them until we experience them ourselves. When that happens, it transforms us forever. We realize we’re much bigger, and more wonderful, than the beleaguered human being in the small, anxious and ordinary story of our life. When lost in our story, our life is marked by constant struggle and striving. We become creatures of anxiety. We measure our own worth by the fickle judgments of others, or by how much we own or what we can do. We lose the courage to be true to who we are; because, like Arjuna in the Bhagavad Gita, we have forgotten who we are. As a result, we experience an emptiness inside that we can’t seem to fill. We’re always dissatisfied, despite having so much. Sometimes it takes darkness to appreciate the light, I thought, as I continued towards the temple on the hill. The stars shine brightly twenty-four hours a day; they never cease shining. But it’s only in the obscurity of the night that we see their brilliance and beauty. We speak about illuminating the dark; but sometimes it’s the darkness that allows us to appreciate the light. In that thought, I had connected with the very heart of the soul’s dark night and the yoga of despair. The obscurity in a dark night experience, when what is fleeting has been broken apart, can give us a glimpse of the self-luminous soul. Simon Haas is an internationally renowned author and teacher of yoga philosophy who specializes in applying ancient wisdom to everyday life. Born in 1975, Simon first became interested in the study of ancient wisdom traditions at the age of 13. As a young boy, Simon studied the sacred writings of India and spent ten years living in temples and monasteries in India. He apprenticed for sixteen years with an elderly master practitioner in the Bhakti tradition, within an unbroken line of teachers that dates back thousands of years. Simon graduated with honours from the University of Cambridge. Currently, he focuses on making the teachings of ancient India widely accessible to contemporary readers and audiences. He lectures and gives seminars and workshops internationally on the philosophy of yoga and the ancient teachings of India. 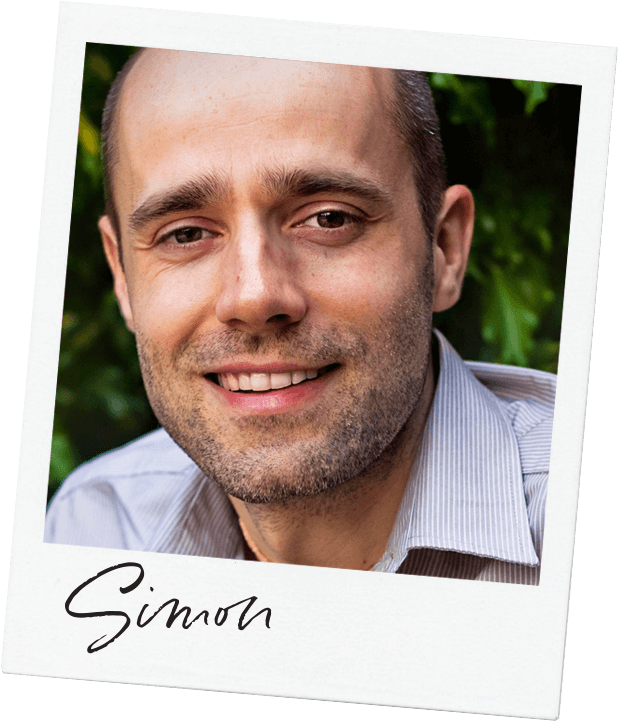 Simon is author of the bestseller The Book of Dharma: Making Enlightened Choices, which shares practical teachings on how to consciously direct our life by improving the quality of our choices. His most recent book, Yoga and the Dark Night of the Soul: The Soul’s Journey to Sacred Love, explores how crisis and difficulty can form part of our yoga path and how we can write our life story with love and compassion. Copyright © 2018 Simon Haas | Design by Rob @ SOULUSIONS | Photos of elephants: © Gregory Colbert. Photos of India: © Ananta Vrindavan. Used with permission.